Thomas "Bud" Marshall Maynard, 86 of Silver Point, Tennessee passed away on Thursday, October 25, 2018, at his home surrounded by his family. Bud was born Thursday, June 2, 1932 in Putnam County, Tennessee, he was the son of the late Virgle Maynard and the late Jeanette Jernigan Randolph. Bud was always a hard worker until he couldn't work anymore. 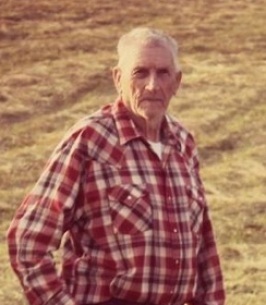 He enjoyed farming especially his horses and cows. Bud loved his grandbabies and great grandbabies. In addition to his parents, Bud was preceded in death by: Daughter, Phyllis Brewington; 2 Brothers, JV and Carson Maynard; 2 Sisters, Helen Hunter and Faye Lowe. Bud chose cremation, the family followed his wishes and a Celebration of his Life will be held at a later date. To send flowers to the family of Thomas Marshall Maynard, please visit our Heartfelt Sympathies Store.